Apple iPhone 8 Release Date, Specs, Price: Ditches Home Button; Arrives In September 2017? 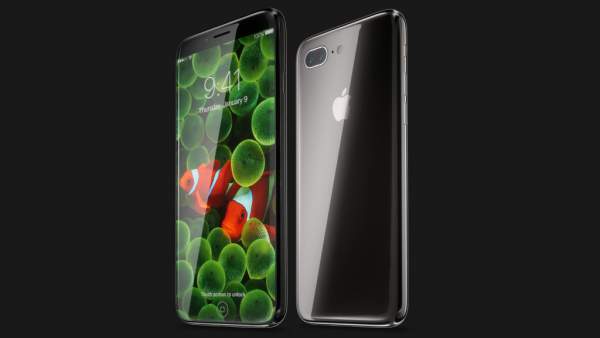 iPhone 8 Release Date, Specs, Price, Features, Rumors, Images, News, Updates: With Samsung Galaxy S8 doing all the rounds in the market and OnePlus5 rumors flying high like anything, all eyes can’t be blamed if they are directed towards the California-based tech giant Apple for its next installment of its workhorse iPhone. Keeping in mind that the brand will be celebrating the decade completion in the market, so, something got to be cooking! The next mega haul most probably to be called as Apple iPhone 8 or iPhone X, is doing its task for the time being in the best way possible- creating speculations!! If reports are to be believed, this particular Apple phone is gonna take the selfie-driven technology of cameras to whole new level of perfection. It will sport an innovative front camera that features diffractive optical elements (DOE) and vertical-cavity-surface-emitting-laser (VCSEL) components coupled with an OLED display. And this is where Captain says, “English!!”. Check: OnePlus 5 Release Date. So, to put it in layman’s language, the front camera will be playing its games in the 3rd dimension, i.e., it will be 3D-sensing and 3D-modeling-ready. The later technology of the of OLED display works without a backlight; thus, it can display deep black levels and can be thinner and lighter than a liquid crystal display (LCD). In low ambient light conditions (such as a dark room), an OLED screen can achieve a higher contrast ratio than an LCD. Another new change worth mentioning in Apple iPhone 8 is the different placement of the fingerprint sensor. When Samsung has placed the fingerprint sensor on the back of Galaxy S8, Apple has been reportedly working on to put the sensor below the display on iPhone8. A published patent by Apple said that the company has been exploring the possible placements in which it can put the sensor. Another major change would be its plans to do away with 3.5 mm headphone jack, as was the case with iPhone7 where these were replaced by wireless AirPods. In the arena of hardware developments, the phone is supposed to be powered by more efficient and faster A11 microprocessors, manufactured by Apple’s primetime processor supplier company, Taiwan Semiconductor (TSMC). According to a new report from 9to5Mac, the Apple’s upcoming phone will cost around $1000 at retail stores. With still nothing set in stone, the phone is expected to hit the stores by early September 2017 ! Next articleApple iPhone 8 Rumors: To Be Equipped With A11s Procesor & No Home Button?